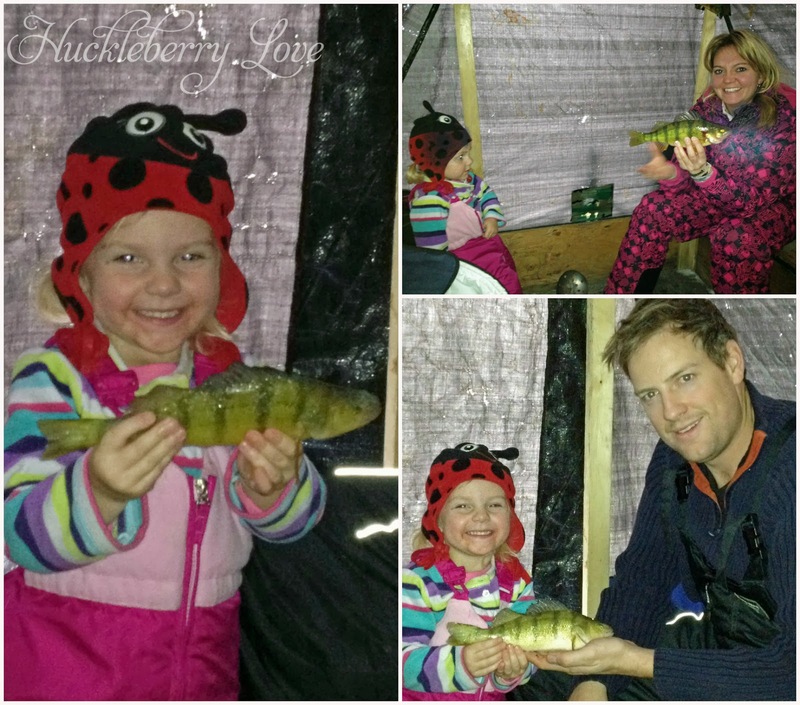 Huckleberry Love: Huckleberry Life: Christmas Fishing, An Annual Tradition! 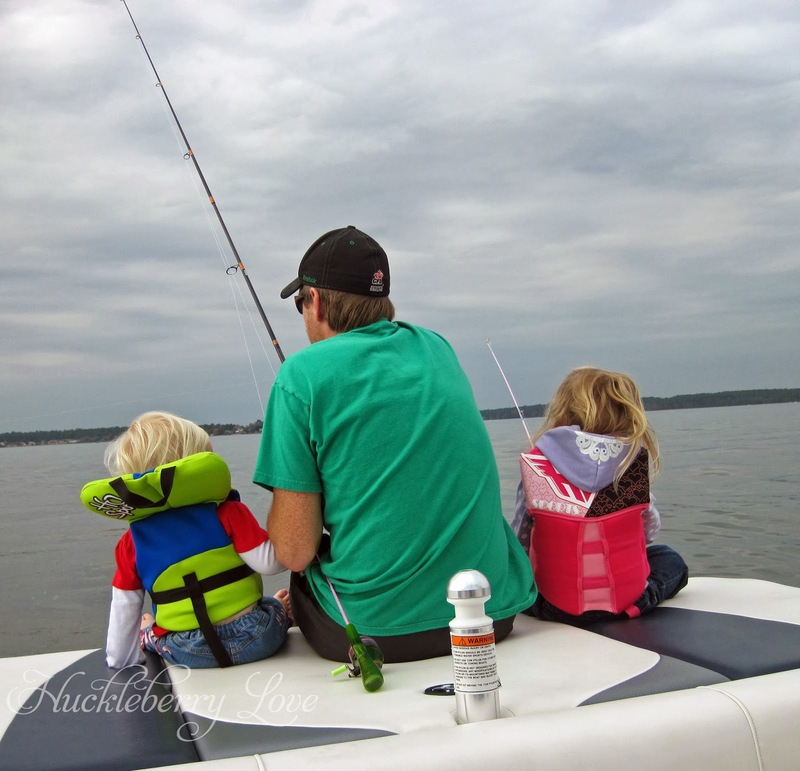 Huckleberry Life: Christmas Fishing, An Annual Tradition! Growing up, Christmas day was always very relaxed.. Wake up, open presents (very, very slowly), have a late brunch,spend the rest of the day lazing around playing/enjoying the new gifts and then usually a quiet dinner over at a family members house was the annual routine. My husband Dwayne's family, however, are more of the outdoorsy kind. Their Christmas day consisted of waking up, opening presents, quickly eating breakfast and then getting packed up and out the door to get to the lake. Well, when Dwayne and I got together, I was introduced to this annual tradition and to be honest, I love it! It's great to get out in the fresh air and do something fun and active as a family. And, ever since our first Christmas together we have gotten out there and fished. Now, since we are from Canada and do the one Christmas here, one Christmas in Canada thing, each year is different and fun fishing. 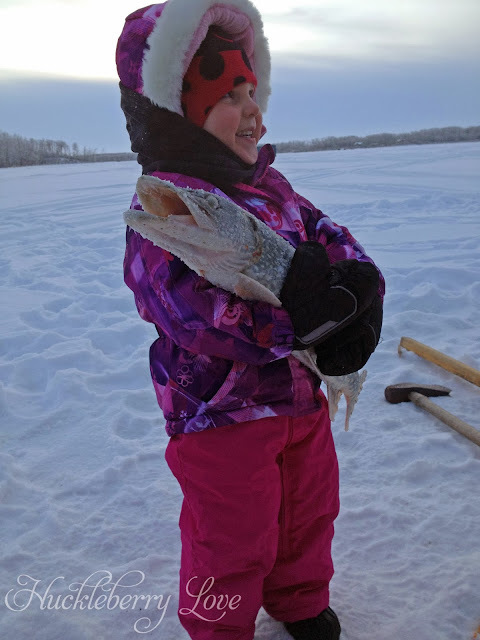 Obviously, when we are in Canada, we can't take a boat out and fish the traditional way, so we pull out the snowmobiles and zip out to the lake and do some ice fishing. 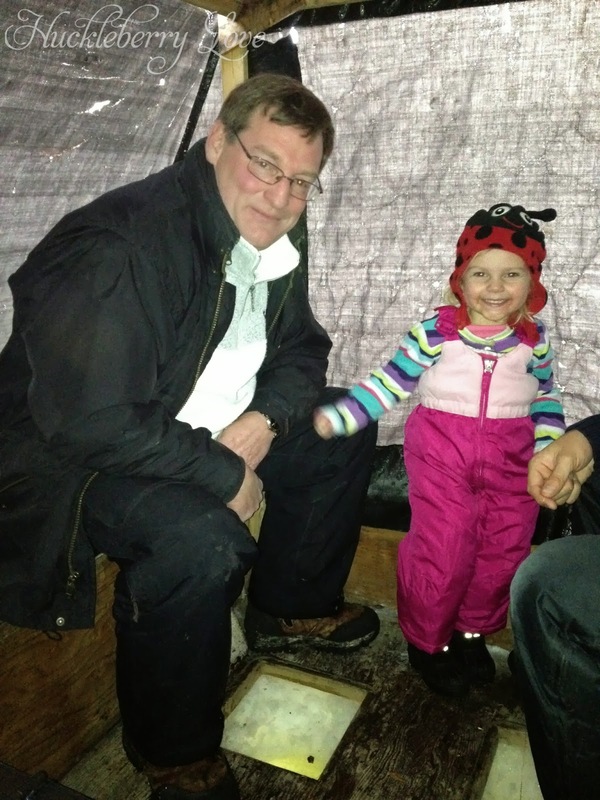 Luckily for us, Dwaynes family has an ice fishing hut called a Coquette that we use to keep the freezing temperatures at bay! Ice fishing, for those of you who haven't done it, is awesome. It's really cool to be sitting in the Coquette on a bright sunny day and looking down into the ice holes, because you can see everything. It's so cool to be able to see the fish as it's biting your hook. and hanging out with her Grandpa. She even made sure to make some snow angels outside the Coquette. And when it was time to pack up, she helped us gather together all of our fish! 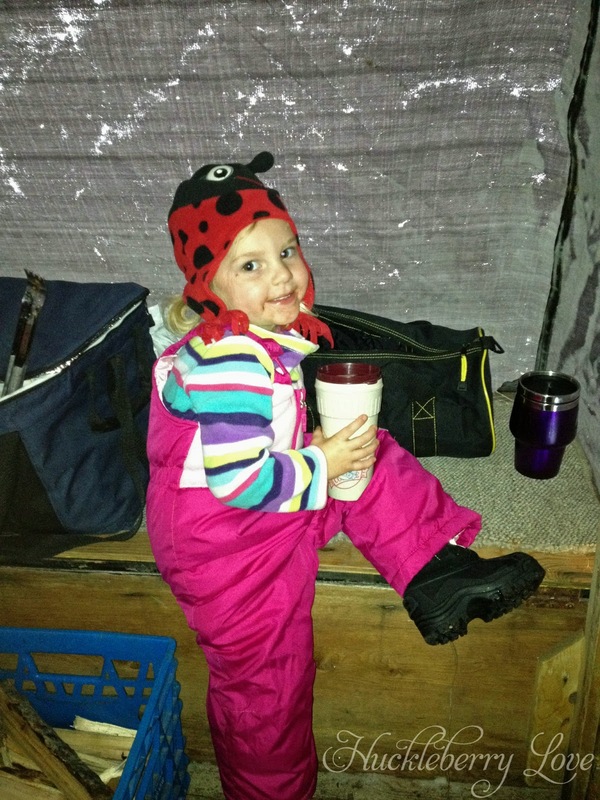 It was definitely a fun and memorable first ice fishing trip. I'm really looking forward to next year when we are in Canada again and little B will be able to get out there with us! This year, however, we were in Houston, so we drove out to the lake and took the boat out. It was a beautiful day, a bit chilly but a far cry from the negative temperatures that we would have been dealing with if we had been in Canada. 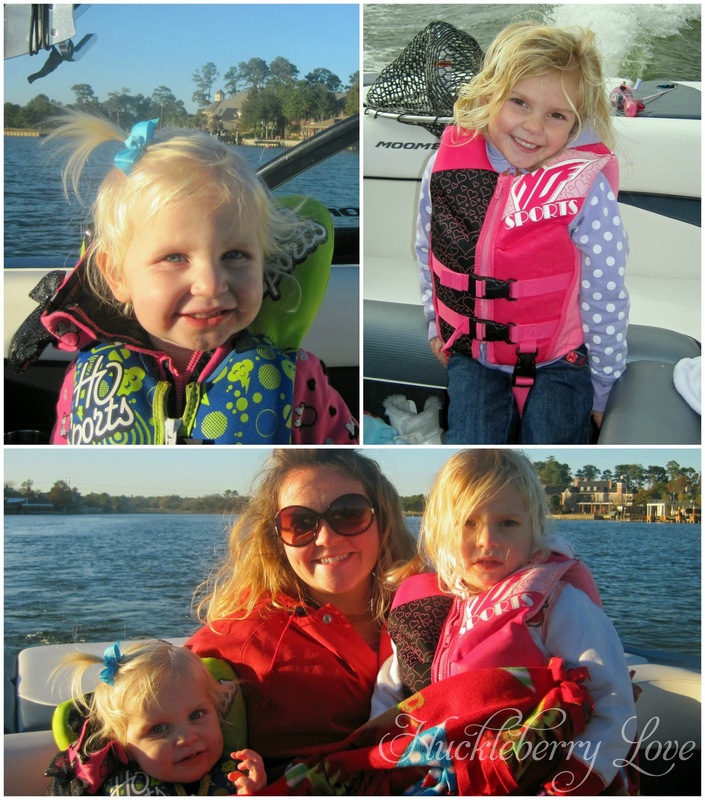 The girls both received new fishing rods from Santa, so they were stoked to get out there and practice their fishing skills. Miss J even got to put a real fishing hook onto her fishing rod. It was really funny to watch her frustration when every time she reeled her line in she hadn't caught a fish. She couldn't understand why her new fishing rod wasn't working. Lol. Out there trying to catch 'the big one'. 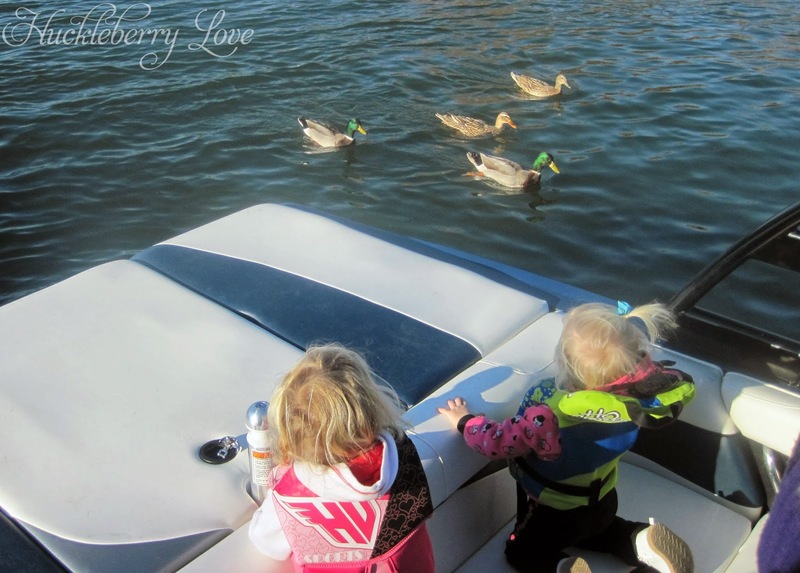 I would love to tell you that we were as successful on this fishing trip as we were on our ice fishing trip last year, but alas, we have not been able to master the skills of southern bass fishing and usually just end up 'washing' our hooks, and watching ducks, haha. 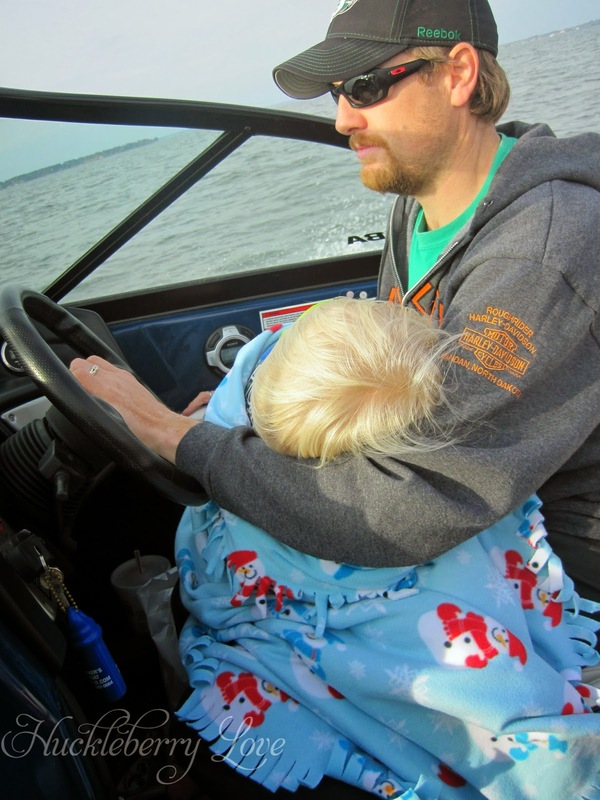 Little B tired herself out on her big Christmas fishing day! 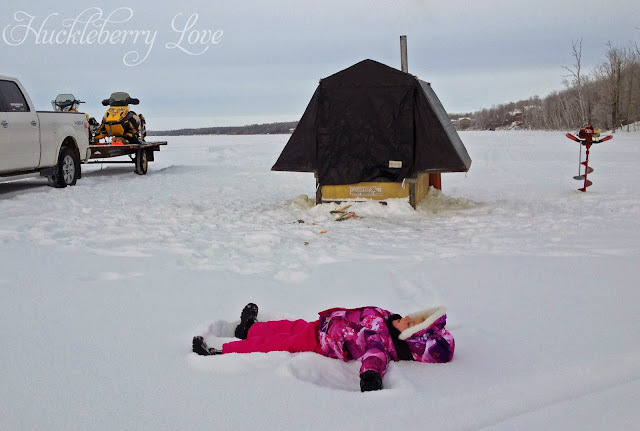 Have you ever been ice fishing before? What are your families Christmas traditions? All I have to say is BRRRRR! !